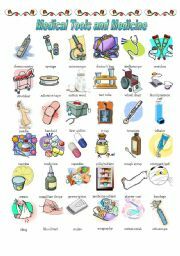 This ws has several exercises to practise health-related vocabulary (diseases, collocations, at the doctor´s office). I´ve also included 2 exercises with verbs used to express pain/unpleasant feelings. 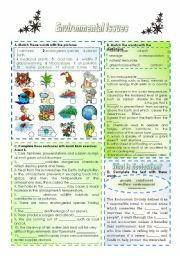 This ws helps sts learn vocabulary related to the topic Environmental Problems. 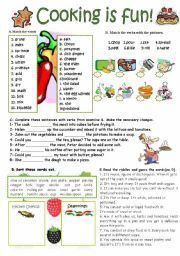 Here you will find a variety of exercises with cooking verbs, seasonings and kitchen utensils. With this ws. sts. 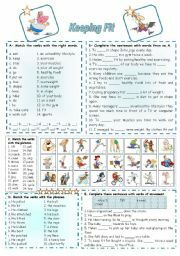 can learn general vocabulary( healthy lifestyle)and verbs of movement. It´s a simple pictionary to teach vocabulary. 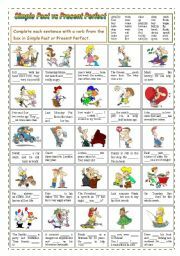 FOOD IDIOMS( 1st Ws). 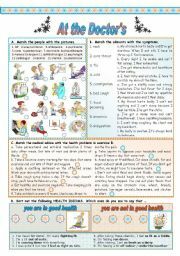 It´s hard for elementary/ low intermediate sts. to learn idioms. 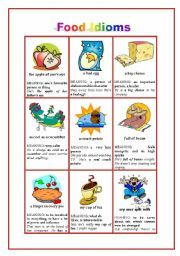 Perhaps it will be more motivating with these clipart images.I´ve uploaded another ws FOOD IDIOMS - WS 2) and a crossword to practise these idioms. 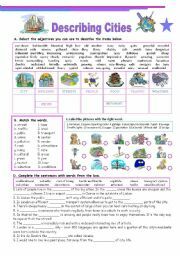 This is a simple ws to practise Simple Past and Present Perfect Simple.